I can’t believe it is already May and in my world, that means the busy wedding season is right around the corner. And this year, I am very excited about the flower trends for the 2011 wedding season. Among the exciting styles this year are vintage charms and soft, romantic blooms. The classic vintage look has arrived this season in full force. 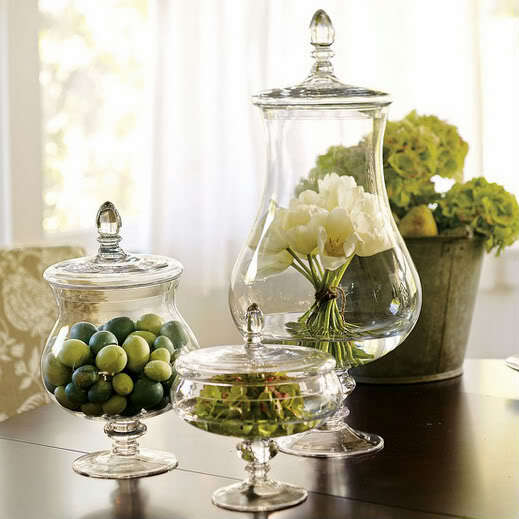 The vintage style can range from whimsical arrangements created in old watering cans to a more elegant look showed off in a mercury apothecary jar. Whatever the container, this nostalgic look can be achieved by incorporating romantic blooms such as, hydrangea, peonies, roses, lisianthus, or ranunculus. Adding a touch of dusty miller or seeded eucalyptus will add the finishing vintage touch to any bouquet. When choosing your vintage color palate remember it is all about washed out colors that look aged. While there are many options to achieve this stylish nostalgic look the use of soft pastels with undertones of gray are perfect for this design. 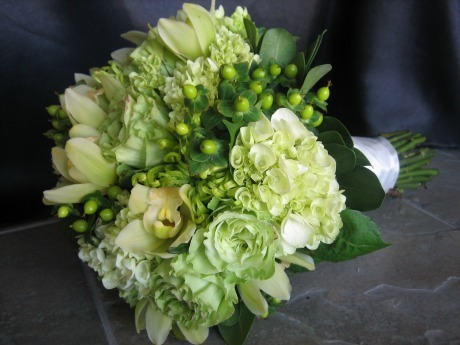 Nothing could accompany the vintage look better then the use of soft, romantic blooms such as peonies or hydrangeas. Along with these trend setting stems lisianthus, ranunculus, and roses will also be among the list of popular flowers used this wedding season. These gentle blooms are timeless and classic, which will give your event a romantic and opulent look. Make sure to check back next week when I talk about more 2011 wedding trends for flowers including the use of unique textures, muted color palettes, and creative embellishments. Posted in Wedding Flowers and tagged 2011 wedding trends, bridal bouquet, sioux falls florist, sioux falls flowers, sioux falls wedding florist, sioux falls weddings, south dakota wedding flowers, south dakota weddings, wedding florist, wedding flowers, wedding inspiration, white wedding.